The destructive influence of spurned lover Sergei Diaghilev on the career of Vaslav Nijinsky made ideal fodder for 21st century John Neumeier ballet Nijinsky. For their seminal 1948 film, however, Michael Powell and Emeric Pressburger changed the sexes to have rising ingénue Victoria Page fall victim to the jealous machinations of dance impresario Boris Lermentov. 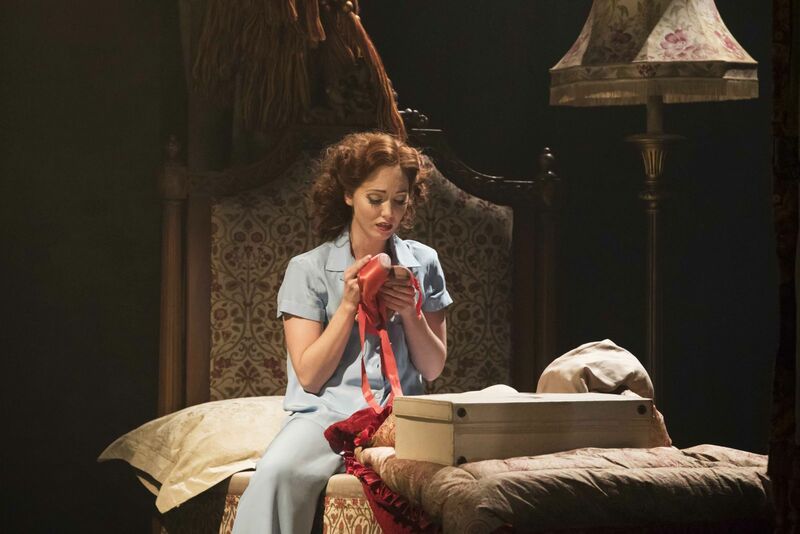 Combined with the dark Hans Christian Anderson fairytale The Red Shoes, the movie, and now the stage production, has a gritty, involving substance that has the audience spellbound throughout. 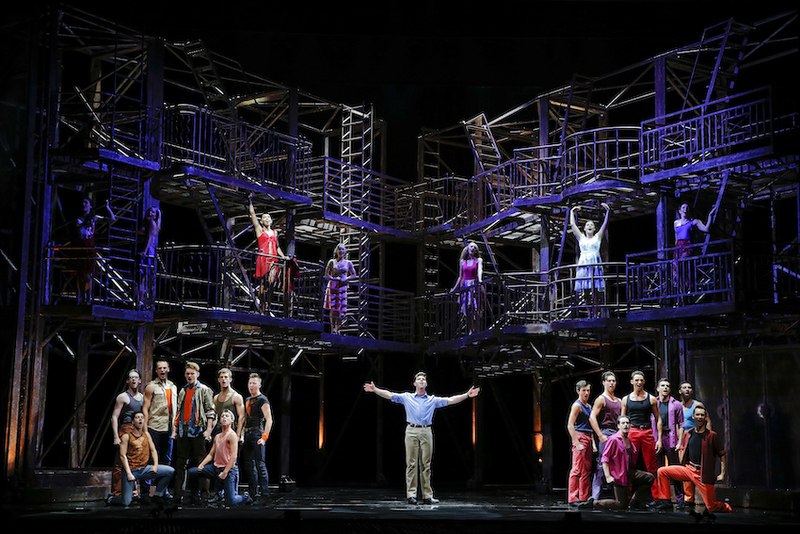 Working with his frequent design associates, Bourne has concocted an excellent vehicle to showcase the unique talents of his inimitable team of dancers at New Adventures. The work features distinctive characters and a strong narrative drive, with a dance world setting that is as intriguing, attractive and relevant to the cast as it is to the intended audience. Apart from selecting and adapting such perfect source material, Bourne’s masterstroke here is the inspired choice of Bernard Herrmann music for the score. Hermann’s music, written for Hollywood soundtracks, ranges from richly romantic to moodily mystic, all with an undercurrent of ominous tension. As played live by an orchestra of 16 musicians, the score suits the work so perfectly that it sounds custom written. Designer Lez Brotherston has created a flexible, ornate proscenium arch, which moves to show the Lermentov dancers working onstage and off. 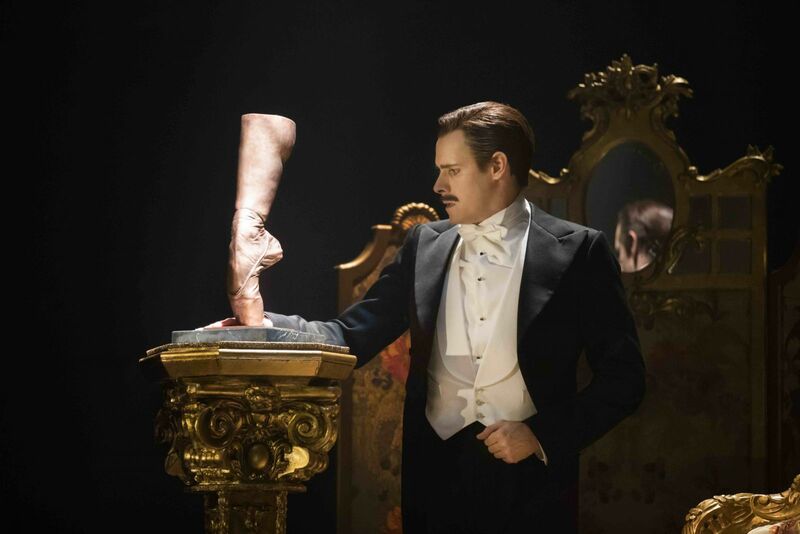 In the style of the ballet attended by the Royal Party in Matthew Bourne’s Swan Lake, Bourne has created pastiche ballets within the ballet, with a cheeky, but ultimately respectful, nod to the distinctive Ballet Russes style of the era. Paule Constable’s lighting design is equally crucial to the show-within-a-show conceit, also drawing the eye to details in the bustling full company scenes. The evening opens with Countess Tamara’s Dilemma, which foreshadows the impending tale by featuring a jealous love triangle. At a subsequent soirée, Lady Neston insists Lermentov sees her niece Victoria, who actually dances her audition for him in this version. Lermentov does not really take notice of the young dancer until he visits class, where she is as unfailingly composed as the prima ballerina is increasingly flustered. In a delightful piece of business, fur clad prima ballerina Irina Boronskaja simply holds her dress in place for a stage rehearsal, while premier danseur Ivan Boleslawsky drolly follows along, cigarette in mouth. In another charming sequence, an onstage French beach ballet scene transforms into an offstage visit to Monte Carlo. As the company prepares for La Sylphide, Dorothy Brock Boronskaja breaks her ankle, allowing Peggy Sawyer Victoria to take over the lead. In a nod to New Adventures’ working style, Lermentov and his assistants and designers create their new ballet The Red Shoes at his mansion. 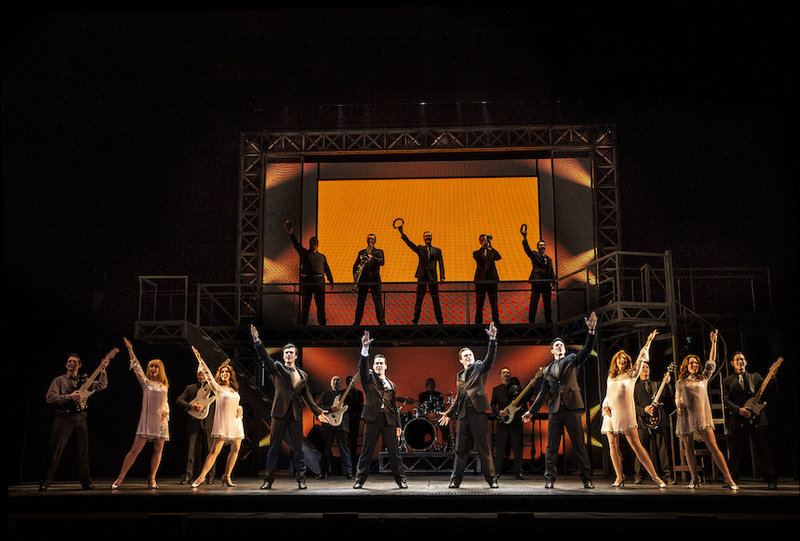 The Covent Garden set box they work with materialises on stage, as clean white trapezia-cut panels fly in. 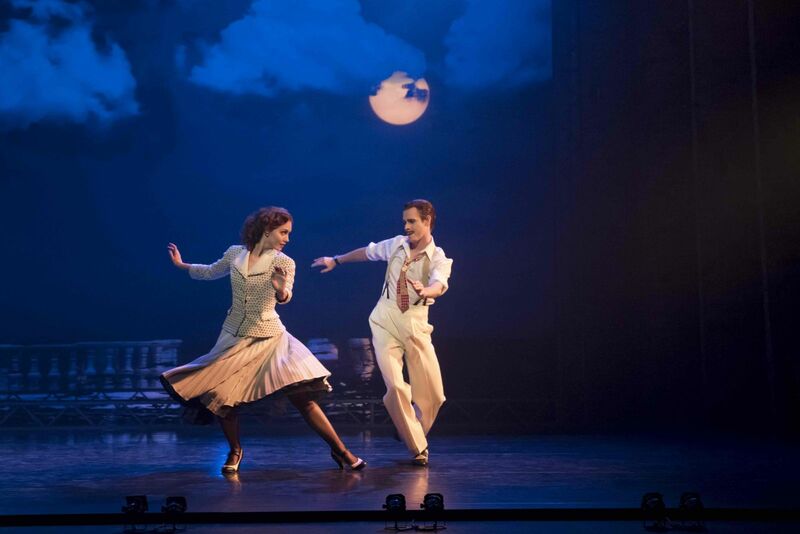 Crisp black and white projections (by Duncan McLean) show a smart city scene, as a devil in red pinstripes tempts Victoria’s character with the red shoes. The character dances her way into the firmament and her lover becomes a priest, touched by her spirit in cemetery. Flush with the success of opening night, Victoria comes off stage and kisses her boyfriend, composer Julian Craster, leaving Lermentov in a jealous rage. Act two opens with the company in gay spirits at their end of season party. Lermentov skulks about, bristling at the sight of glowing lovers Victoria and Julian. As the company rehearse their new work Concerto Macabre, Boronskaja has resumed her place. Lermentov has cast Victoria and Julian out, and the pair are seen miserably existing in an East End music hall six months later. The stage revolves to alternate between Lermentov’s lavish Monte Carlo office and the lovers’ miserable London digs. 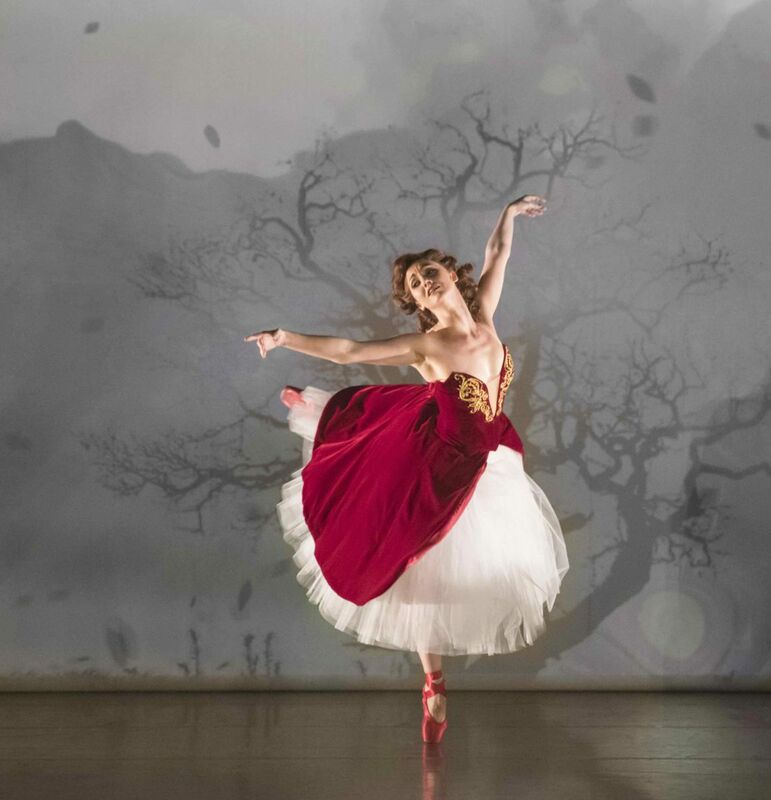 Just as the stage character is compelled to dance while wearing the red shoes, Victoria is compelled to return to dance the ballet for Lermentov, a decision that ends in offstage tragedy of its own. At this performance, enchanting Australian born dancer Ashley Shaw played Victoria Page as a dewy, yet determined, heroine. Shaw’s fluttering pointe work was impressive, and her droll music hall turn was a hoot. Shaw successfully gains the audience’s symapthy and affection, heightening the impact of the tragedy. Sam Archer brought a driven focus to uptight showman Boris Lermentov, maintaining a compelling stage presence while neatly underplaying the emotions of the callous tyrant. Chris Trenfield had a distinctly masculine presence as Julian Craster, his expressive, open face beaming with love before clouding with depression. Trenfield took full advantage of the composer’s choreography to establish the life-affirming effect of music on the character. With eye make-up the might be seen from the moon, Anjali Mehra-Hughes brought delicious comic touches to prima ballerina Irina Boronskaja. 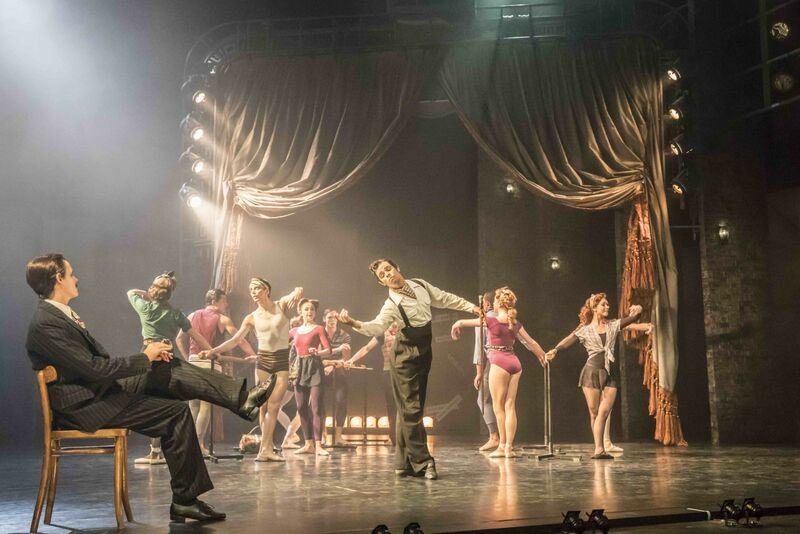 Long-time New Adventures star, and co-dance captain for the production, Dominic North brought his distinctive talent to premier danseur Ivan Boleslawsky, dancing the role with great flair while bringing a whole world of character to the role. Ivan’s affectionate romance with Lermentov’s secretary Dimitri (Joe Walkling) was both a sweet and realistic touch. 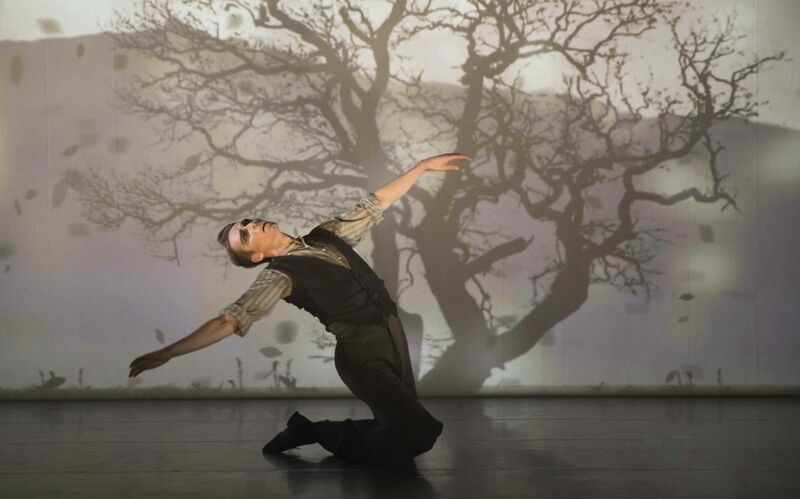 Glenn Graham utilised a full range of facial and physical expression to play eccentric ballet master Grischa Ljubon. Nicole Kabera had a lovely cameo as Lady Neston, bored to tears at her own soirée. The sold out season of The Red Shoes continues at Sadler’s Wells until 29 January 2017, before undertaking an extensive UK tour. I’m seeing it again tonight. Hope you enjoy it as much as I did!